How do you define a happy and successful life? These are some big questions. They are familiar questions, too. No doubt you’ve inquired the answers from another person, probably been interrogated yourself, and most likely rolled around in bed until 3am trying to solve these personal mysteries. For every time these questions have been asked, there’s 10 different answers that’ve been given. I know this to be the case because I spend a good deal of time asking myself these questions daily. The reality of finding a path..
God, do I envy the people that find their groove early. The ones that got a head start right out of high school and had the discipline to put their heads down and go full steam ahead. I take solace in the fact I am slowly piecing together my own personal answers – at least I hope I am. There’s undoubtedly many people who won’t find it for many more years, some who don’t even begin searching until a much older age than I. Unfortunately there are many who won’t ever find their definitions to the heavy words above. If I had a magic formula where you could simply buy a ticket that showed your personalized map for success and happiness, effortlessly apply the principles and arrive easily to the destination I would be getting hand fed grapes on a stunning, tropical beach. ..I’m referring to the destination without a journey included. Hand-fed grapes on a beach sounds fantastic. Who remembers the cliche quote “do what you love and you’ll never work a day in your life”? Hold that thought for a moment, and proceed to think about what activities or environments allow you to feel blissfully in a mind state where time doesn’t seem to move. 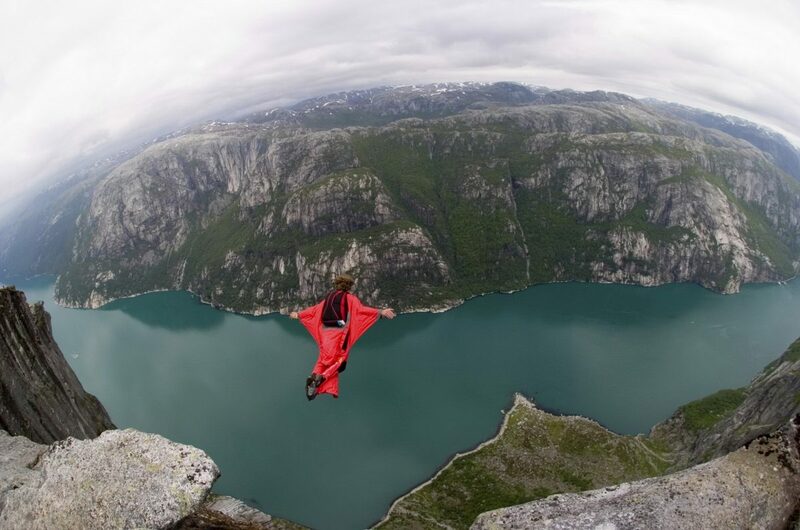 All your worries just fall to the wayside and you’re fully immersed in the activity in hand. You feel completely alive, and performance appears to be at full capacity. I was first formally introduced to the concept in university. In my third year I took a psychology elective named something to the effect of ‘Mind, body & brain’. It was a very relaxed class where the professor spent most lectures introducing us to breathing exercises, the benefits of yoga and how we can connect the physical with the mental and spiritual. I first discovered flow for myself while weight training. After a few years of commitment, once I had a decent foundation of muscle and form I began getting into these ‘in the zone’ states. I felt I could lift more weight and take on anything while I was flowing. When I started practicing yoga it became further pronounced. I frequently am able to find myself in these states of flow during writing, exercise, and in deep conversation. Total immersion, performance, feelings of ecstasy.. Flow sounds pretty decent, doesn’t it? So how do you reach this coveted mental state? 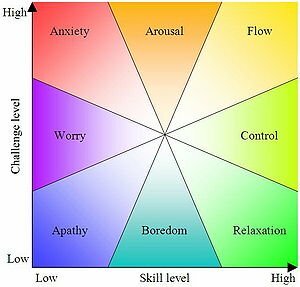 Flow occurs when the appropriate level of skill encounters the right amount of challenge. Not enough skill, nor challenge and there’s no interest. Over skilled and under challenged equals boredom. Under skilled but over challenged leads to anxiety and stress. ..But, with the right amount of skill and given just enough challenge is where miracles get worked. That is, when the conditions are right. None of these conditions are outside the your realm of your control. So you can train yourself to enter into the flow state. Better news yet, you can also help yourself by using a variety of other triggers as well to enter the flow state. Since each one of us is a unique little snowflake, different triggers will have different effects on different people. ..that was too many ‘differents’. If you visited the link above you would have noticed the name ‘Steven Kotler’. He is an author, researcher and proponent of Flow. His website Flow Genome Project has a short profiling test you can take to figure out which flow profile fits your personality. Thereby finding which triggers are best suited to you and some tips for getting into flow quicker. I took the Flow profile questionnaire and came out as a ‘Flow Goer’. The results suggest I yearn for a life built around flow, which really resonates with me when I think about it. The profile suggests yoga as one of the best flow hacks for a flow goer, and also to be vigilant in the search of effortlessness that I don’t avoid tough situations that would allow for growth. Get your career and life to Flow.. If you can remember earlier I mentioned the quote of doing what you love to avoid working. Now that we are aware of flow, and its connection to happiness, we can build our career around it. We have better insight into how flow can best work for us, in our work lives. Someone like the ‘Hard Charger’ who connects to flow through risk and challenge might be best suited to a role in sales, law enforcement, or a career that pressures them to perform. I could also see the trades fitting here for people. In my mind, the ‘Deep Thinker’ would do well in analytical positions such as engineering, research, or creative spaces. These could allow a Deep Thinker to excel. A career that allows for more solo work is probably best. ‘Flow Goer’ being my results seems to be hard for me to put a finger on which types of careers would be best. Without letting bias of what my dreams and aspirations are, interfere with my answer. I think autonomous roles are extremely important to Flow Goers. Positions that allow you to deliver some tangible benefit to others are important. Teaching, Entrepreneurship and Nonprofit work could be considerations for Flow Goers. A ‘Crowd Pleaser’ being the classic Extrovert is going to benefit from a role that allows them to thrive in the crowd. Management, sales, or hospitality/entertainment could allow these individuals to blow up. Final thoughts on the flow profiles..
Finding work that aligns with your interests and strengths will lead to further happiness and success. Depending on your goals or situation you may need to spend some time in some less-than-desirable roles for whatever reason. Do what you gotta’ do to move forward. Work will still be work some days. With this in mind, remember to participate in activities that stimulate you, or challenge you to grow. This allows you to still live within flow states. The benefits will spill over into other areas of your life – maybe a currently tedious job. A life abundant in happiness and success stem from doing things we enjoy enough to be fully focused on and completely present in. And from activities that continuously push us. These conditions allow us to reach the flow state, a place where miracles can happen. Which activities will do this for any given person differs, but we can now find starting points for each of us thanks to research that’s being conducted on flow states. Research are just beginning to scratch the surface on flow states.